Respected for his innovative methods and approach to training, Jim Spark is considered one of the founding fathers of aviation training in Australia. In 1967, Jim founded the flight school NASA (known from the 1970s as the Civil Aviation Training Academy, or CATA) at Cessnock in NSW. Through his involvement with the new CATA, established at Mangalore Airport Australia in 2007, Jim’s knowledge and experience is being put to good use once again. NASA played a fundamental role in the growth of the aviation industry in Australia. 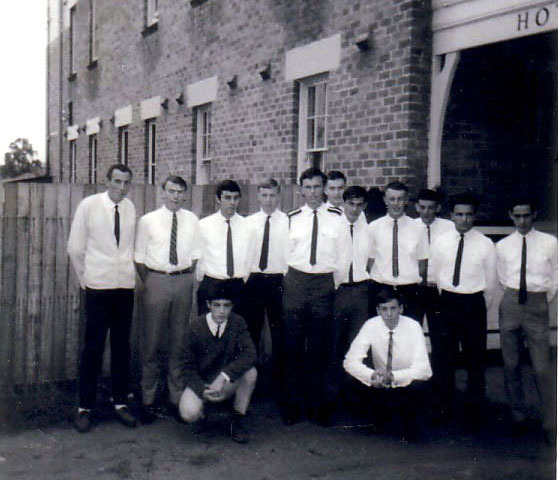 Together with his wife, Maureen, Jim made the young trainees feel part of the Cessnock family. 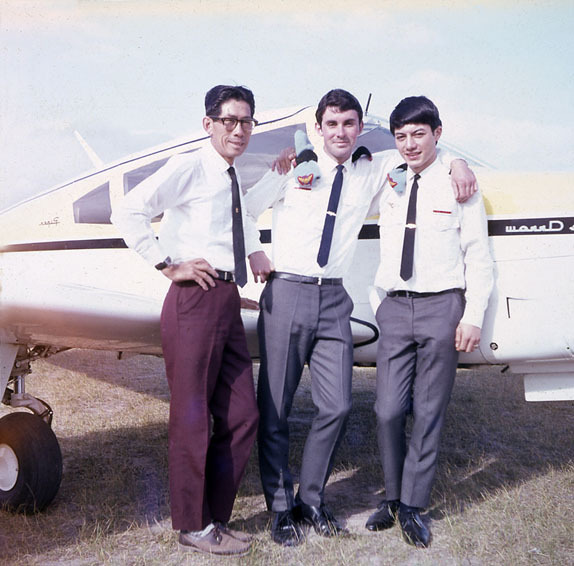 They received comprehensive and top-class training, with many graduates going on to illustrious careers as commercial pilots with major airlines. The connection between Jim and Col Rees, owner of Mangalore airport, is both personal and professional — Jim and Col are second cousins yet didn’t meet until late in life and only then by lucky coincidence. As a child, Col had heard about Cessnock and Jim from Col’s mother, yet the two only met when they both independently attended a meeting at Essendon airport and Jim introduced himself. The penny dropped. Col had already taken over Mangalore airport by then and so brought Jim on board to develop the training program for the new CATA. When asked to explain the success of NASA, Jim replies with great humility: ‘I always look back and say, what was it? All we did was what we intended to do and there’s no big deal in that — or we didn’t think so at the time’. The challenge facing training and charter aviation services such as NASA at the time was just to remain viable. It was an era of growth in aviation, with the introduction of commuter airlines, and the founding pioneers of these fledgling airlines — Don Kendell, Jack Masling, John Roworth, Max Hazleton, Bill Davey to name but a few — developing the industry, yet with little government support. So bad was the situation that Jim, with Laurie Gruzman, a prominent Sydney barrister (and owner of the Aviation Centre at Bankstown airport at the time), joined with the then recently formed General Aviation Association of Australia (GAA) to raise awareness of the industry and its need for support. To this end, GAA organised a grand stunt: Jim, with 80 others, flew to Canberra and landed unannounced on the racecourse. Another early but humorous challenge facing the staff at NASA (named after the ‘real’ NASA, reflecting the fascination of the times with space travel and aeronautics) was inventing a name to fit the acronym. The Nationwide Aviation Space Academy was born! Jim decided to start his own school using airforce techniques passed down from the Empire Air Training School in Canada. 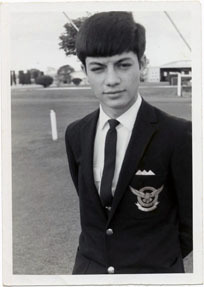 He scouted around for planes and opened the school at Cessnock on 13 February 1967 with its first intake of twelve trainees. The early days were a struggle but they made ends meet. The full-time nine-month live-in course at CATA cost $3500 — a huge sum at the time — and trainees received no financial assistance to do the course. The cost of the course was comparable with the price of a Holden station wagon — a comparison that remained uncannily accurate for many years. 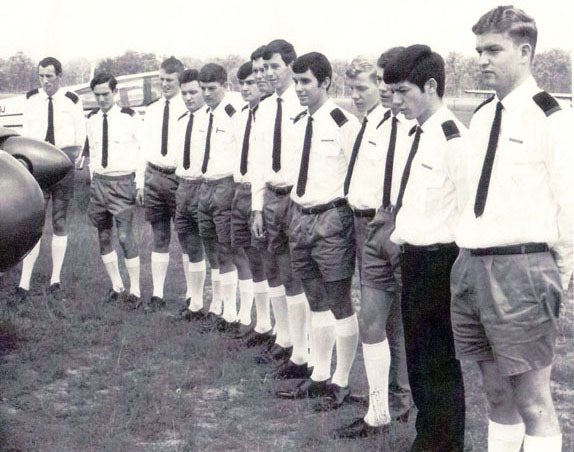 Most trainees were young — 18 to 22 years of age — and were keen to become commercial pilots. There were four intakes a year, divided into ‘Red’, ‘Blue’, ‘Green’ and ‘Orange’ flights, and they all wore colour patches to distinguish them. To this day, graduates still identify by their ‘squadron’ — ‘Red 72’ or ‘Green 68’, for example. In the early days, trainees wore uniforms and did military drills — the brainwave of one of Jim’s early contacts, Brian Hill, a ‘PR man’. Jim estimates that in his time 80 groups went through the school and, at one stage, there were 50 on staff operating 25 aircraft and 6 simulators. A typical day for the trainees often began at first light and sometimes continued into the night to give them exposure to night flying. 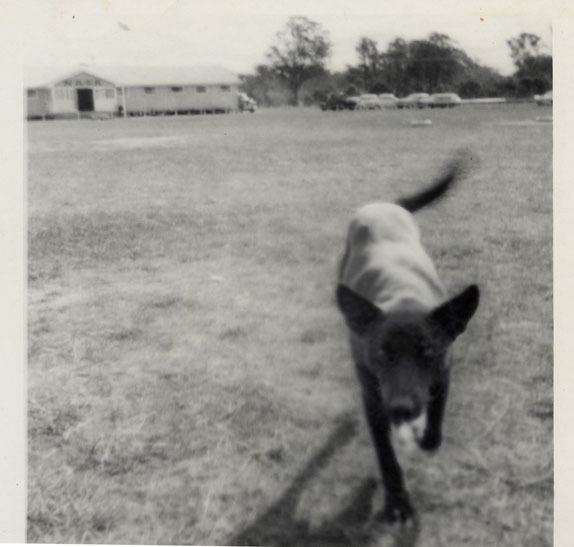 I walked into the base on 15 January 1968 with a cheque in my hand for $3900 (having paid $200 deposit). The staff mingled among us boys and sorted the wheat from the chaff in record time. Some of us were sent to the barber shop before being sent to the Paxton hotel. From day 1, it was instilled in us that we would be very different people after 38 weeks. We were told that if we were to graduate with our wings, we would have to pass the necessary airmanship requirements. Learning to fly was secondary. And when we did graduate, we left as disciplined airmen. Those with a CPL [Commercial Pilot’s Licence] who didn’t make the grade as airmen didn’t survive long. Barry Sue in his off base uniform in Brisbane. Trainees were expected to look the part both on and off the base — a neat and clean appearance was an important part of airmanship. Barry remembers returning to base after this trip and being marched back by Max Johnson (Flying OPs) to the barber shop to deal with the mop on his head. In addition to the drills, trainees had to complete water-truck, hangar, flare-path or general house duties. They began each day with a morning parade at 0800 sharp (no one dared to turn up late), and room and uniform inspections. Red Flight 1968 Number 5 course. Barry Sue can’t remember why he is out of uniform, but he says, ‘rest assured, it would have cost me dearly later’! Barry remembers that during business hours, NASA was run very strictly: ‘Everyone stepped in time to the beat of the NASA drum. One either changed and moulded accordingly or one was given the royal order and a one-way ticket out of the place.’ There were two golden rules: no women on base (unless for formal occasions) and no alcohol on base (unless for organised functions such as ‘stag nights’ to welcome a new flight). In the very early days of NASA, nearby hotels were given photos of the trainees and if any were seen drinking on weeknights, the bar staff were to contact the base immediately! It wasn’t all hard work, however — there were many parties and graduations, ‘playing hell in the Cessnock Workers’ Club’. One night Barry dressed up as a woman and set up a ‘blind date’ with another trainee, Brian McCarthy, in Cessnock. Once McCarthy had realised the joke, the flight went on a spree at the Cessnock Workers’ Club. The trainees danced all night with the cross-dressing Barry, pouring beer after beer into him. Then came the inevitable trip to the toilet. He was escorted to the ladies by the others, who promptly ran to tell the bouncers that a man dressed as a woman was in the ladies toilet. Barry takes up the story: ‘When I came out, I was grabbed from all angles. I was arrested and thrown into a waiting police van. It was the second time that night I had been warned by police that it was an offence for a man to impersonate a woman.’ Fortunately, he was let off and Jim picked him up from the police station later that night. 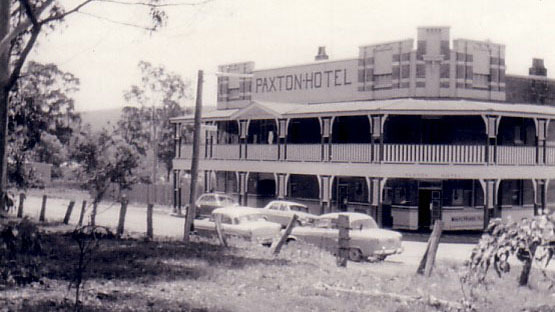 The early flights in the late 1960s boarded at the Paxton hotel. The publicans, Ray and Phyllis Messenger, were friends of the Sparks. Barry recalls Paxton in those days as a ‘small village of miners and hillbillies, inundated by greyhound dogs, wild bee swarms and bad women’. Staying at the hotel gave the trainees many opportunities for mischief — but it wasn’t just the trainees who created havoc. Barry describes how one morning at 6am, Jim buzzed the hotel in a Piper Aztec, setting off all the greyhounds in town. Some of the more ‘innovative’ training at NASA involved ‘Survivor’-style challenges — trainees were given a canoe, a paddle and hard rations for a few days. They camped on Pulbah Island in Lake Macquarie to complete the set task. This encouraged ‘improvisation’ — Jim relates how on one trip a trainee from one flight raided another flight under the cover of night and stole their paddles. Not deterred, this flight cut a couple of branches off a tree and made a makeshift sail from the plastic used to waterproof their clothes. They came home in fine style ‘under sail’. Looking west at NASA with three C150 aircraft in the foreground. The building at left comprised the offices, operations and briefing rooms, administration, classrooms and Link training room at the rear. The main building contained the dining room and the student accommodation and facilities. At front is the infamous flagpole and parade ground. Being a cattle dog he instinctively took to joining in a game of soccer. He was by far the best dribbler on the base and was usually first choice when picking sides. The only drawback was he sometimes forgot which way his side was kicking. At precisely 1000 hours every morning, when the morning class was due to break, NASA pushed open the classroom door and lay at the instructor’s feet. George Braid soon learnt to incorporate this phenomenon into his classes, inviting NASA in bang on schedule. Braid was typical of the staff at NASA. Jim describes him as a ‘really interesting man and a great instructor’. Braid had served with the Pathfinders, elite squadrons in Bomber Command, during World War II but was shot down and had to bale out at 300 feet, leaving him alive but with a serious leg injury. He discarded his parachute and walked away, only to be captured about 3 kilometres from the crash site and taken to a concentration camp. His injuries never stood in the way of excelling at anything he chose to take up throughout his life. Barry Sue’s graduation day — he is shown here with his father, Jack Sue, and Geoff Dale. Barry remembers NASA as a ‘tremendous place to train’. Flying training from the 1940s followed a prescription: Lesson 1, you did ‘straight and level’; Lesson 2, you did ‘medium turns’, and such. Jim knew that NASA was getting results but it niggled him that it was for the wrong reasons — ‘the trainee was learning to fly despite the instructor’. This led Jim to Stanley Roscoe, when he was recommended Roscoe’s book Aviation Psychology. Col relates how Jim was ‘ahead of his time at Cessnock in the way that he delivered the training: not so much the syllabus itself but how he delivered it to get a very good outcome’. Jim’s training methods were heavily influenced by the work of Roscoe, a pioneer of aviation psychology in North America, who promoted the introduction of aviation psychology to the industry. As a pilot in the Pacific in World War II, Roscoe directly experienced the shortcomings of pilot training and the problems induced by aircraft design and instruments. Roscoe and Jim, later joined by Aero Innovation in Canada, are renowned for developing Wombat® in the 1990s, a widely used and highly respected psychological assessment tool that measures situational awareness and predicts how well pilots (or other operators of complex systems) will respond to unanticipated situations that cause operators to rely on their ability to solve problems under stressful conditions. Roscoe’s research into eyesight and resting focus and how this affects pilots’ judgement was ground-breaking. After investigating many air accidents, Roscoe promoted the notion that pilot error in itself was not an explanation for an accident. It was merely the ‘substitution of one mystery for another’. A point of view still not shared by all. After reading Roscoe’s book, Jim flew to New Mexico in North America to visit him, so beginning a lifelong friendship and collaboration. Jim believes that in Roscoe he had the best mentor in the world and Roscoe has continued to provide advice and support throughout Jim’s career. Jim was impressed by Roscoe’s ideas about cockpit fit-outs, building on the experience in DC-3s during the war when pilots confused the levers for the undercarriage and the wingflaps, therefore not always retracting the desired device. Retracting the undercarriage instead of the flaps caused a plane to sit unceremoniously on its belly, which as Jim dryly comments, ‘didn’t do anyone’s pulse much good’. Roscoe felt that if pilots could be given tactile feedback from the control switch it would reduce so-called ‘pilot error’. It did. To be consistent with what pilots were operating, the switch for the undercarriage was shaped like a wheel and was wedge-shaped for the wingflaps. Flight instructors from the war era only had two teaching devices at their disposal — a blackboard and an aeroplane — until the invention of the Link Trainer or ‘Blue Box’, the first flight simulator. 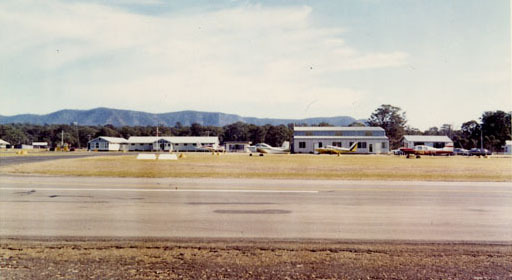 The early simulators used at Cessnock were analogue ex-airforce Blue Boxes. These were in need of replacement so Jim contacted the manufacturer in North America, Singer Link, who had developed a postwar general aviation device designated GAT 1 (General Aviation Trainer — one engine). These simulators fell short of expectations so Jim collaborated with Roscoe and others to create a flight training device — ‘a simulator, for want of a better term’, as Jim describes it — that eventually became the Hawker Pilot Trainer (HPT). The school bought two of the original units and experimented, with startling success, in new ways to learn to fly. The results were such that they soon recognised that they needed something different again. At the time on the staff was a lateral thinker, Ric Geary, who had special skills in electronics and was a qualified flight instructor. Geary insisted that to do what the school wanted they had to go digital. A worldwide search for such a device proved fruitless. Several manufacturers servicing the major airlines offered to build one but at unaffordable prices. The only way forward was to build it themselves. With input from Roscoe, the HPT was built. Using the latest digital technology, it was a ground-breaking step forward. Jim advised the aviation authority, DCA (now CASA), in Canberra of their intentions and asked for the training device to be certified. DCA would not decide what credits would be attached to its use without comparing it to other available training devices in the industry. Jim invited DCA to look at their simulator so they could see the touch screen for themselves — DCA had expressed concern about the screen as it hadn’t been used in the aviation industry at the time. (Today it is commonly fitted in general aviation aircraft.) The touch screen allowed the trainers to set up the device as a Boeing 747 cockpit display or that of a Cessna 172, for example, and it offered enormous flexibility. DCA visited about 12 other flight schools, yet they did not come near Cessnock — possibly as a consequence of Jim’s arguments at the time with an examiner of airmen about the worth of simulators! Jim felt that the HPT gave trainees wonderful experience and they were sent into the industry very well prepared. However, the use of the simulators was controversial as trainees were not given any training credits for time in the ‘synthetic trainers’ because they weren’t part of the syllabus and it was perceived that there was no direct commercial benefit — a perception that still exists today in some quarters. The HPT embodied Roscoe’s concepts for teaching: the many stressful and negative situations that pilots had faced in the past were re-created for trainees, developing in them a wealth of experience and knowledge that they could then apply in real-life situations, so becoming a safer pilot. This technique is now used in large-scale modern simulators for civil aviation, but the HPT was a first for small simulators in which the pilot had little to fall back on. The HPT allowed them to apply the ‘when, where and what?’ principle or, as Jim says, ‘what’s going to happen, where is it going to happen and what are you going to do about it?’. With the arrival of computers, this principle could be ‘programmed’. Jim’s approach to flight training was considered innovative in other ways as well. From 1973, he recognised the value of providing audiovisual material for all aviation subjects. Barry remembers the senior instructors in the garage at the Sparks’ home ‘cutting and pasting their lessons onto audiovisual’. It helped keep costs down as what was know as ‘a long brief’ could be taped and delivered to the trainees, and they could also use the tapes to revise any theoretical concepts they were having trouble with.